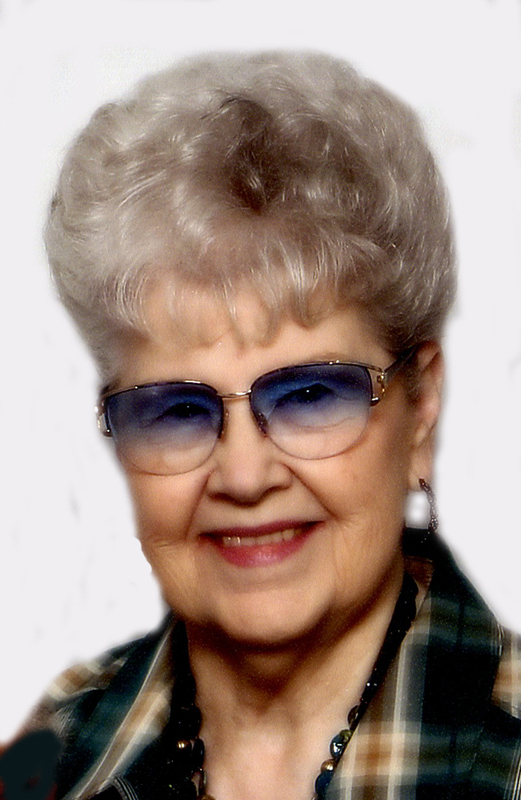 Daisy Tuttle, 93, of Aurora, passed away on Thursday, March 21, 2019 at Westfield Quality Care in Aurora. A Memorial Service will be held 11:00 A.M., Tuesday, March 26th at the United Methodist Church in Aurora. Gil Nissen and Rev. Greg Reed will officiate. Interment will be in the Aurora Cemetery prior to the service at 9:30 A.M. for family and friends. Visitation will be from 5-7 P.M. Monday at Higby-McQuiston Mortuary in Aurora. Memorials will go the Marquette Community memorial fund. Higby-McQuiston Mortuary is in charge of arrangements. Condolences may be e-mailed to the family through the mortuary website at www.higbymortuary.com. Daisy Catherine Tuttle, the daughter of Claude and Ozellar (Bales) Davison, was born in Colorado, on October 18, 1925, and passed away at Aurora, Nebraska, on March 21, 2019, at the age of 93. She moved with her family to Central City where she attended school, graduating from Central City High School. Following her graduation she worked at the Ordinance Plant in Grand Island during World War II. Daisy accepted Jesus Christ as her Savior at 12 years old at the Christian Church in Central City. Daisy was united in marriage to Donald Tuttle on July 4, 1948. Following their marriage they made their home in Marquette. She worked as a C.N.A. at the long term portion of Memorial Hospital and Ben Franklin in Aurora for many years. Daisy enjoyed sewing, crafting, baking and music was very important to her. Daisy and Don enjoyed going camping. She was a member of the United Methodist Church for many years where she served on several church circles. Daisy was also a member of T.O.P.S. She was preceded in death by her parents, brother, Donald Davison and sister, VernaDean DeVol. Those who remain to cherish her memory are her husband, Don of Marquette; daughters, Pam (Gil) Nissen of Marquette and Vicki (Doug) Jensen of Marquette; four grandchildren, Kelly (Jason) Swantek of Genoa, Cory (Matt) McGrew of Helena, AL, Brent (Susan) Jensen of Bellevue and Brandi (Jeff) Hansen of Hampton; 17 great-grandchildren; and many nieces, nephews and friends.